In a mid-year survey of US marketers last year, CrowdTwist and Brand Innovators found the majority intended to allocate more budget to customer loyalty in 2017. According to the research, at least half of respondents planned to invest more dollars specifically into their loyalty programs. Forty-four per cent, for example, said they expected these budget to ‘increase somewhat’, while 13 per cent expected ‘significant increases’ in dollars this year. 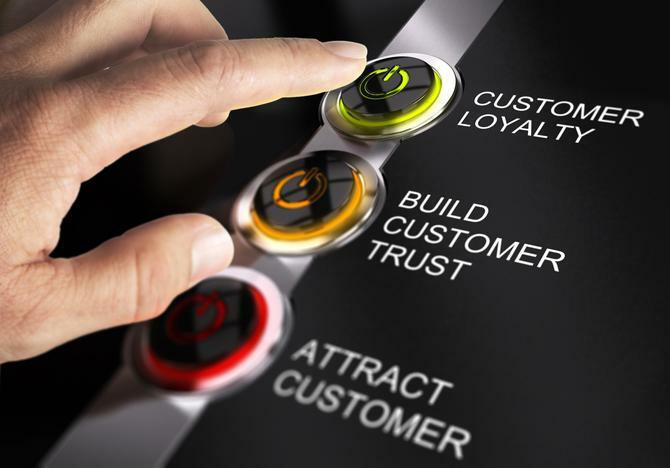 There’s plenty of evidence supporting the case for customer loyalty programs remaining a vital part of a brand’s customer engagement make-up. The latest Nielsen report, Global Loyalty Sentiment Survey, showed 57 per cent of Australian consumers are more likely to return to a retailer if they have a loyalty program in place, and 48 per cent will spend more if they know they’re going to be rewarded. Globally, Nielsen’s research also showed 72 per cent of all consumers buying from a retailer with a loyalty program over one without. And if there was ever a need for proof just how important programs can be in building customer satisfaction, the consumer backlash Woolworths received for revising its loyalty scheme in 2016 provides it. After announcing that shoppers would stop earning points on every dollar spent in favour of a dollar-based scheme for select ticketed items, the supermarket giant reversed its decision a few months later, much to the relief of its member base. Kobie Marketing senior consultant, Howard Schneider, suggests the renewed emphasis on investing in customer loyalty programs has been driven by the rise of pure-play retailers and digital shopping. “E-commerce has made it easier than ever before for consumers to compare products and deals, and today’s consumer is much less likely to stick to a handful of ‘tried and true’ brands than they have in the past,” he says. What most brands are also realising is that repeat customers make up a sizable share of business’ earnings, providing a steady stream of revenue and opportunities for incremental growth. Ladbrokes is one organisation ramping up investment to improve customer loyalty and advocacy this year. General manager of customer experience and innovation, Christian Bowman, cites some hygiene “1 percenters” to tidy up at different customer touch points, as well as a big focus towards retention and building strong relationships with the brand. One of his current tasks is fleshing out the betting company’s voice of customer program. “This extends way beyond just surveying our customers but closing feedback loops and bringing the great ideas our customers have, into the product and service innovation process,” Bowman explains. “In the industry Ladbrokes plays in, we place high value on understanding our new customers and ensuring we can minimise attrition and churn before it happens. The other big ticket item is personalisation, with a strong dependency on accurate data and segmentation frameworks, Bowman says. As an example, he notes the use of individually personalised video to reactive dormant customers during the Melbourne Cup. To do this, Ladbrokes utilised the smartvideo platform, which he claims was a first for the industry. Personalisation including video will now be rolled to several other customer touch points throughout 2017. When it comes to building out a customer loyalty program, Bowman says there’s lots to do and he’s working to get several teams across Ladbrokes to collaborate and make it happen. “The key focus is building meaningful relationships, which will allow us to start the co-creation process which will fuel most of our work in customer loyalty,” he says. Expedia launched its first A/NZ customer loyalty program in 2015, entitled Expedia+. The program sees consumers earning two points per dollar spent on booking flights, hotels, hire cars and other travel-related services on the Expedia website across three tiers of membership. In return, members can get access to VIP benefits such as bonus points, priority customer care and exclusive hotel amenities. Points can also be used for booking award travel for others. “We continue to invest and evolve Expedia+ to ensure it's the best travel loyalty program for the way real people want to travel,” says Expedia local managing director, Michael Pearson. Pearson positions the Expedia+ loyalty program as the key mechanism in the travel site’s overall customer engagement strategy and says it’s using data and technology to continue to adapt the program to better suit customer needs. “We do this by taking the information our customers provide us, turn it into insights and in return provide them with value, choice and savings. This is why our loyalty program is more than just being rewarded with points for dollars spent - customers receive member-only deals, points from how they engage with the site, for bookings made via Expedia’s mobile app or with our multi-buy purchase incentive,” he continues. Another brand that sees the value in a robust customer loyalty program is Crown Resorts. The casino and hotel operator is working on a program that it says will be the foundation for its ongoing customer engagement efforts. During an interview with CMO, the group’s marketing chief, Christopher Coyne, said loyalty efforts are going to be the “lifeblood of Crown” as it moves forward and drives growth. To get there, the marketing team has worked to build a comprehensive customer segmentation strategy through insights, including qualitative and quantitative research across more than 10,000 loyalty cardholders and non-cardholder customers, plus a review of best-in-class loyalty programs globally. Coyne says the digitally led scheme will be driven by customer value and “genuinely world class”. Further details are expected in coming months. David Jones is also reportedly working on a new customer loyalty program, based on extensive customer and market research undertaken across its core department store brand, along with the four brands sitting under the Country Road group: Country Road, Witchery, Trenery and Mimco. The aim is to foster a one-to-one relationship, using data and insight to get there. At rival department store, Myer, more than five million customer loyalty program participants bring in upwards of 70 per cent of sales. During a recent interview with CMO, general manager of brand and marketing, Mike Scott, described the program as the “sleeping giant”, providing terrific insight into the customer that can be leveraged to improve the omni-channel experience and communications. He suggested plans are afoot to refresh the program in order to keep pace with consumers, alongside wider brand rejuvenation plans.